Wakodahatchee Wetlands, Palm Beach County, Florida, January 21, 2006. 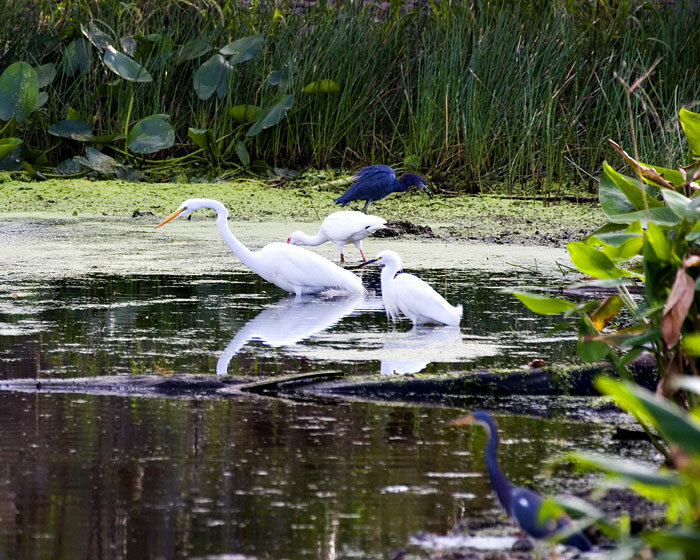 From back to front, Little Blue Heron, White Ibis, Great Egret, Snowy Egret, and Tricolored Heron. The Tricolored is out-of-focus because I didn't expect it to be there. It stepped in at the last second.